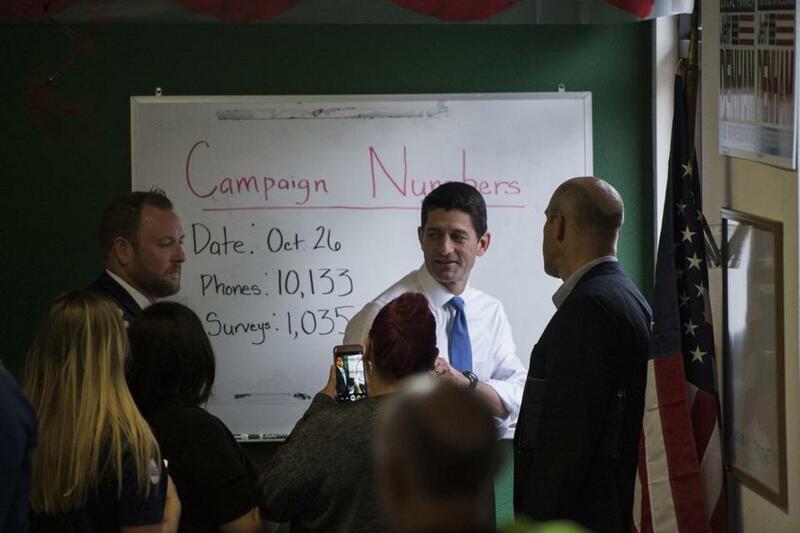 Paul Ryan exited a Modesto, Calif., building last week after a speech at a local candidate’s headquarters. Donald Trump’s path of destruction has pushed the Republican Party to the cusp of a historic reckoning, an existential crisis that has left half of America’s political establishment in desperate need of new leaders, a new message, and even a common orthodoxy. Party members say it is almost impossible to overestimate the challenges facing the 162-year-old GOP, which for the last three decades has been largely defined by a hagiographic vision of Ronald Reagan but is now riven by a civil war with multiple dimensions. Some Republicans are even studying the collapse of the Whig Party in the mid-19th century, hoping they can avoid a similar fate. Others are girding for proxy wars that will be waged on Capitol Hill, within the Republican National Committee, and live on the set of Fox News. The election is far from over, and Trump is campaigning aggressively and pointing to tightening polls as a sign that he could still win. His prospects brightened Friday when the FBI said it was continuing to investigate e-mails related to Hillary Clinton, after obtaining devices from her aide and top confidante Huma Abedin and Abedin’s estranged husband, Anthony Weiner. But for weeks, many Republicans have been assuming Trump will lose and are looking ahead to 2016’s bleak aftermath. Some party elders may try to reassert some authority. John McCain has hinted that he hopes to play a bigger role, and many are wondering if Mitt Romney will attempt to lend a hand. If they do step up, they will be testing whether conservatives have any reverence for the onetime nominees — who lost in 2008 and 2012 — or whether the disruptive effect of the 2016 nominee has only accelerated their obsolescence. He said party leaders would be sorely mistaken if they attempt to dismiss the Trump movement, the one that improbably carried him to victory over 16 Republican rivals, many of whom were more experienced and better funded. There likely will be several proxy wars that could help determine the direction of the party. First will be a fight on Capitol Hill, should Republicans maintain their House majority. House Speaker Paul Ryan has disavowed many of Trump’s comments, triggering animosity from Trump and leading to boos of Ryan at Trump rallies. Ryan is already facing some unrest within the GOP House caucus for not doing more to help Trump — and from others for not fully renouncing him. And if Republicans keep the House — and Ryan keeps the speakership — he will likely be holding the gavel by a slimmer margin. That politically precarious position could make it more difficult to put forward a policy agenda, and any compromise with Clinton could trigger efforts to unseat him. Another major battle will be over the chairmanship of the Republican National Committee, an election that will take place in January. The current chairman, Reince Preibus, has stood by Trump, and several candidates — both pro- and anti-Trump — are already quietly campaigning for the seat. Donald Trump spoke to supporters Saturday during a rally in Golden, Colo.
Primary battles, too, will help clarify the direction of the party and the longevity of Trump’s influence. On Thursday, former Arizona state senator Kelli Ward announced she would attempt in 2018 to oust Senator Jeff Flake, whom she referred to as “Flake the Snake” for his willingness to criticize Trump. The tensions between the moderate and conservative portions of the party accelerated after the 2008 election and with the rise of the Tea Party movement in 2010. Trump captured the right-wing anger with his highly unconventional, combative campaign that fed off of dissatisfaction with GOP leadership. His strategy was to blow up the party structure from within, and he made little effort at reconciliation after a deeply divisive primary. Right now party activists are conducting quiet conversations, Miller and others say, about how the party should move forward. Some have hopes that the Republican Party can form something along the lines of the Democratic Leadership Council, which was created after the 1984 election when Walter Mondale lost nearly every state to Ronald Reagan. The council pushed the party to become more centrist, which helped pave the way for Bill Clinton’s election as a “New Democrat” in 1992. Such a review will undoubtedly confront uncertainty over what it means to be a Republican. The party that for so long clearly followed in the dogma of Reagan (lower taxes, balanced budgets) or Bush (hawkish foreign policy) is now deeply splintered. The party right now resembles a European parliament, several Republicans said, with lots of fragmented interests that at times overlap, and that at other times are diametrically opposed. Many are forecasting major battles over whether to pursue immigration reform in an election where Trump made building a wall his signature issue. 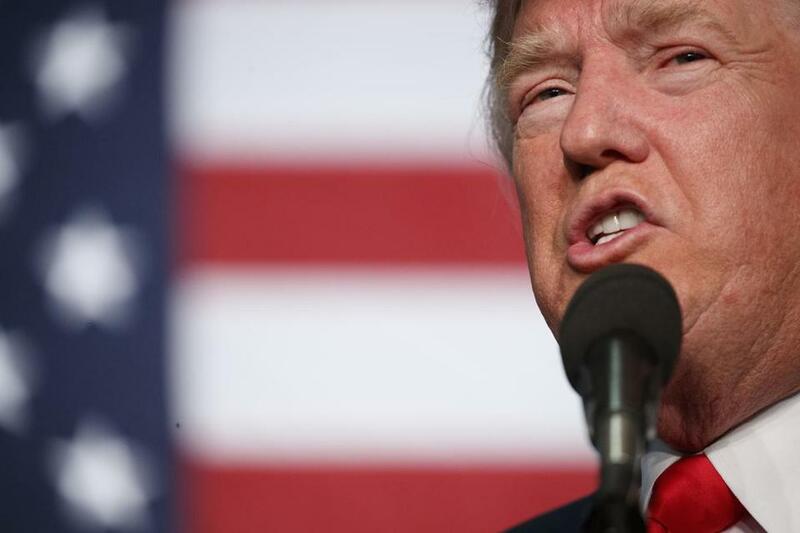 Trump has pilloried free-trade agreements, leaving uncertain whether the party will abandon its traditional support of policies that encourage trade. If Clinton wins, another key factor Republicans will grapple with is how much to work with her, and how much to obstruct. Senator Ted Cruz, for example, is already threatening to push for indefinite vacancies on the Supreme Court if Clinton is president, preventing the filling of the late justice Antonin Scalia’s seat and potentially triggering more 4-4 ties. What leading voices may emerge is still highly uncertain. Conservatives like Cruz are trying to shore up support, but it is unclear what Trump would do — and whether he would continue trying to lead a movement within or outside the party — should he lose. More establishment factions may turn toward those who have proven they can win in blue states, like governors Charlie Baker of Massachusetts and Larry Hogan of Maryland. Senator Rob Portman of Ohio is poised to win reelection in a difficult environment, and Governor John Kasich of Ohio is expecting to take a prominent role in the days after the election.